ConvergenceLA is a media installation on the façade of the Metropolis Towers in downtown Los Angeles. 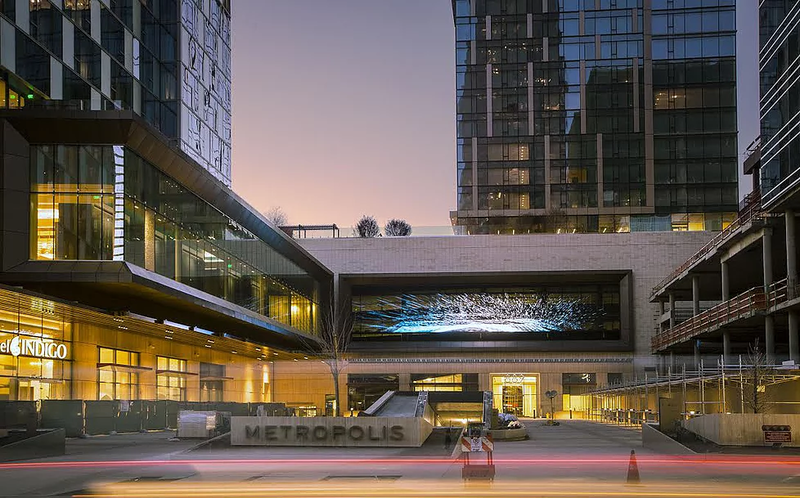 The canvas for the artwork is an integrated LED display, nearly 100 feet wide. We were responsible for all generative content: 8 different data sculptures driven by information about Los Angeles from various sources such as weather, ocean currents or wind but as well social media, newspaper headlines and live traffic. Transformed into behaviour and force fields, beautiful aesthetics emerge from pure statistics and numbers, constantly reacting to the cities live.